Salt and sleep are two words that don’t naturally seem to belong in the same sentence, but salt may actually be the missing link between you and a good night’s sleep. Sleep and salt are connected by simple metabolic processes. Salt has very specific effects on stress hormones and brain chemicals that can lead to less stress and better sleep. But Isn’t Salt Bad for Me? Before we get into how salt can help you get better sleep, I want to dispel the “low-salt” myth. Low-salt diets are promoted as healthy for everyone, but the scientific evidence disagrees. 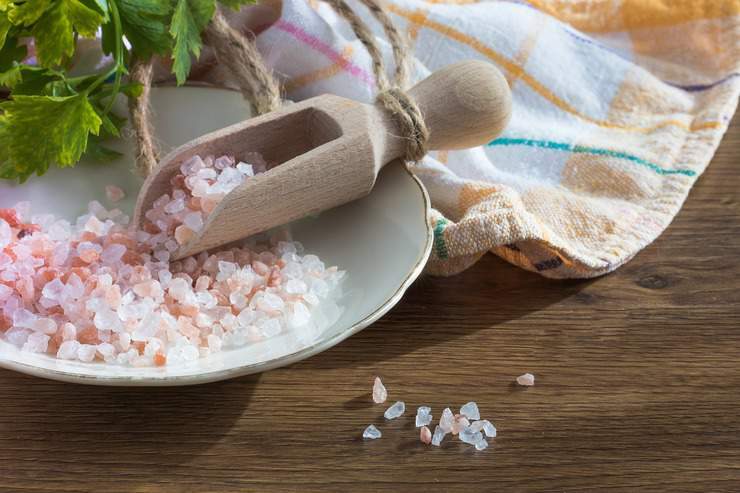 Commercial table salt is often loaded with unhealthy additives, so be sure to choose natural sea salt or pink himalayan salt that contains trace minerals in addition to sodium. Salt Lowers Stress. You know those nights when you can’t sleep because your mind is racing with thoughts about work or something else you’re stressed about? 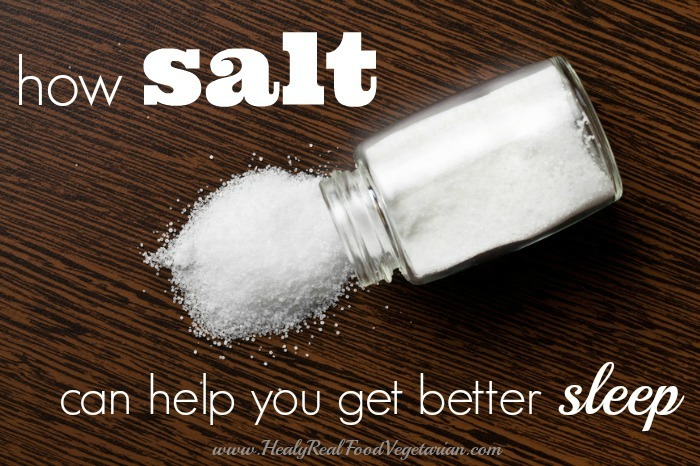 Salt can actually help calm you down! Research shows that salt has a unique effect on stress levels. Having enough sodium in your bloodstream can reduce your stress response, so you don’t experience as much anxiety about things that might normally stress you out (source). 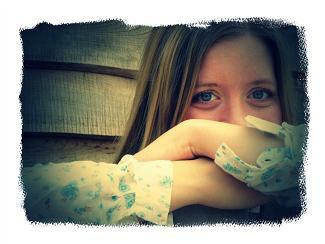 Salt Raises Oxytocin Levels. Salt also contributes to another important anti-stress action in the body: it raises your oxytocin levels (source). Oxytocin is a hormone that helps you feel calm and relaxed, and increases your sense of well being–the exact feelings you’ll want to experience if you’re trying to settle down and get ready for sleep. Salt your food to taste during the day. Follow your body’s cues when it comes to salt intake. As long as you’re eating mostly whole, unprocessed foods, the body has a pretty good sense of how much salt you need. 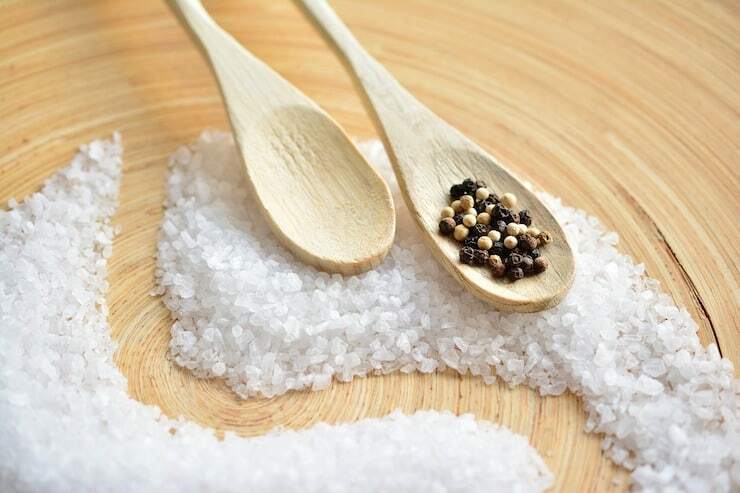 Throughout the day, your need for salt may fluctuate depending on many factors that affect your electrolyte balance, so listening to your body and salting your food to taste is the best way to maintain the balance your body needs for optimal metabolic function. Drink a bedtime tonic with a dash of salt. Try adding a dash or two of salt to a calming bedtime tonic like herbal tea (holy basil and chamomile are especially calming). Take it straight. Some people find it easy to simply put up to 1/8 teaspoon of salt straight on their tongue and then chase it with a small glass of fresh juice or filtered water. 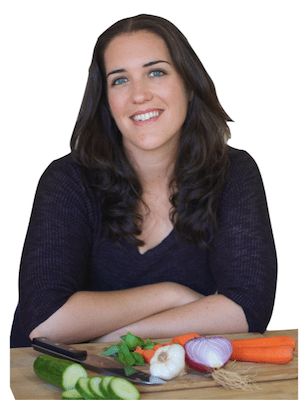 Elizabeth Walling is a health and wellness blogger at The Nourished Life and author of The Nourished Metabolism. 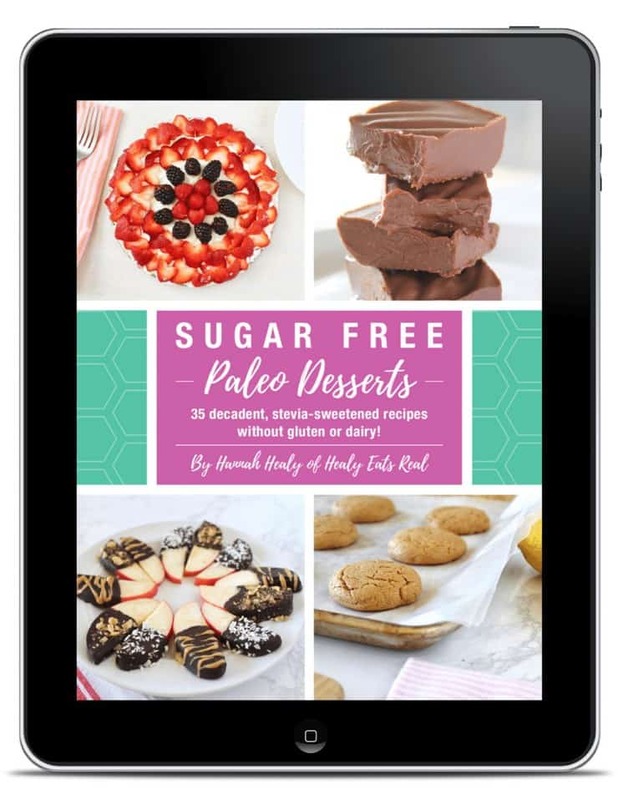 She enjoys thinking outside of the box and challenging common myths about nutrition and metabolism. She embraces an approach to getting healthy that includes listening to your body and throwing dietary dogma out the window where it belongs. You can also find Elizabeth on Facebook. Very cool. My favorite before bed treat is a cup of weak hot cocoa, made with raw milk, coconut oil, and a dash of salt. So good~! My nutritionist recommends I eat more salt – but it’s GOT to be sea salt or other natural non-processed salt. It’s the processing of regular table salt that makes it bad for you (anti-caking agents added, all the stuff that’s good for you is stripped away) not the actual real salt itself. I have been using this for about 3 weeks and it seems to be working, sleeping deep enough to dream when before I would toss and turn all night. http://butterbeliever.com/how-to-fall-back-asleep/ a recipe for “Sleepy Dust” with salts and sugars. That’s great Carrie! I’ve seen that post from butter believer, it’s a good one! Super interesting! Thank you, but I’d love to see the sources for what you claim! (especially to defend to when talking to skeptics, (i expect to find many on this topic!)). There are sources listed throughout the article. Every time you see a link labeled ‘Source’ in the article, click on that and it will bring you to the source. For an evening snack, I love fresh cucumber with salt. Cut the cucumber into wedges, salt, eat. Adding a few raw walnuts to the plate aids the satisfaction, as well. I tend to sleep well (or at least a little better) after this snack. It’s hard to eat cucumber’s without salt (kosher). How important is iodide? Are there better sources to get it from than commercial salt? Real Salt (a company that sells salt mined in Utah) is said to have natural iodine. You can also eat more sea vegetables. I know you can get powdered kelp that you sprinkle on like seasoning, a tiny bit of it has a TON of iodine. You can also buy iodine drops that some people will put one or two drops in a glass of water 2-3 times a week. Google Dr Jarvis, he talked about it in his books. iodine u can get from shrimps.. extre from its shell..
Would the pink Himalayan Salt work in places of the Celtic salt? Why specifically the Celtic also please. Thanks. Yes himalayan salt is also a good choice. I have issues waking frequently but not having difficulty going back to sleep. The frequent wakings keep me from getting enough deep sleep. Will salt help? If so how much? I never salt my food and will rub salt off of chips or pretzels on the rare occasion I eat them. Thanks! Hi, nice article and good that this information is getting out. But I would like some more emphasis on natural sea salt. It makes a huge difference, although they may be small in number the synergy and balance is key. Please look up info on sea salt therapy and what it can do, many illnesses dissapear! Use Celtic Sea Salt. Rowie, the article already mentions to only use sea salt or good quality himalayan salt because regular table salt has additives. There is even a link to a brand recommendation of celtic sea salt. See above. At one time my sodium level was so low, I had two grande mal seizures a month a part while cycling. I noticed that during this time I was also waking up numerous times in the middle of the night to use the washroom. When I got back onto a regular salt intake by taking the appropriate electrolytes when cycling, I no longer had seizures and I also started sleeping much better. I enjoyed reading the article. I followed the sources and some are completely confused and at least one of them (the one on the oxytocin connection) is completely wrong but then it is a 20-year old study so it is forgivable. The urinary sodium and potassium paper was amazing… they talk “sodium” of over 4 grams (that is 10 grams salt) and the USDA has 2350 mg (not gram, in gram 2.350 gr) upper limit on “sodium” and not salt. It seems that is one article the review system let through without understanding what they wrote about–which I can relate to since as a reviewer myself I know that of 3 reviewers 2 must agree to not publish but if only one understands the complexity of the paper (or language) and that the study is wrong, the paper will still publish no matter what. That is one bad paper and one bad findings! While your article is enjoyable and makes some good points (with salt most certainly and also the evening carbs) the reasoning is a tad faulty. And finally simple carbs creates a sugar crash in the middle of the night so while the suggestion of a bit of complex carbs is great, and salted nuts are protein with fiber so even the dessert would sound fine, except for the fact that we now know that sugar is bad and toxic (read Lustig: Fat Chance). So definitely avoid sweets… just go for complex carbs with salt or a glass of milk and salt. 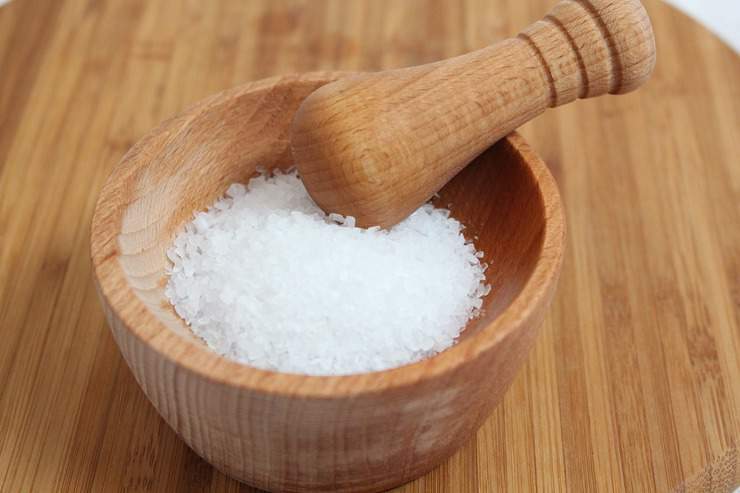 In the “Migraine Sufferers who Want to be Cured” group on Facebook we discuss evening salt regularly and it is part of the Stanton Migraine Protocol(TM). Great article–I wish the sources were better picked to support an otherwise great recommendation! I’m thinking of linking to your article, but I I read in another article that salt is bad for sleep. I was told by a Shaman to drink ½ a glass of salted water and leave the remaining water beside the bed. He said you’ll dream like crazy. Apparently the salted water in the glass keeps its connection with the water you injested and causes you to dream. I’ve never really dreamed much before but now I am getting these crazy, vivid dreams that I can control. It’s been quite a gift! Where are the studies saying salt is good for you? I don’t see the studies. There are studies on nutritionfacts.org however, that says salt is not good for you. You get all the salt you need from vegetables.